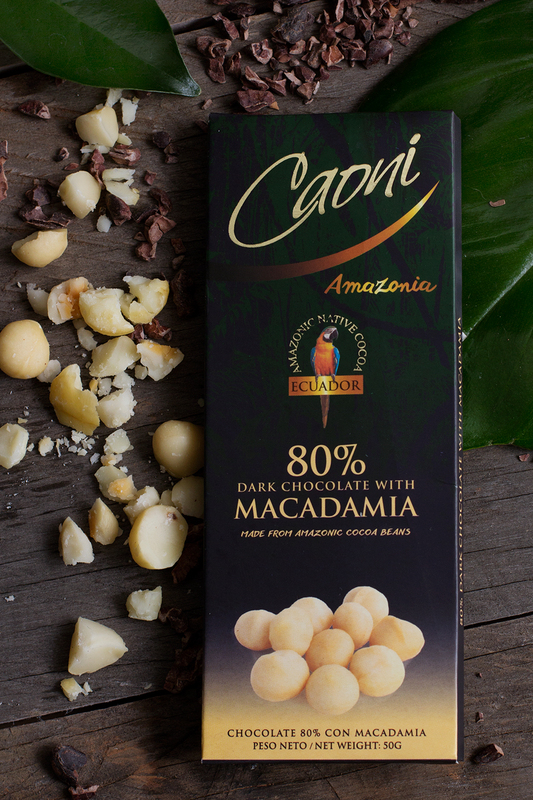 This new collection has been created from high quality Ecuadorian Amazonic cocoa beans, specifically from Orellana province. 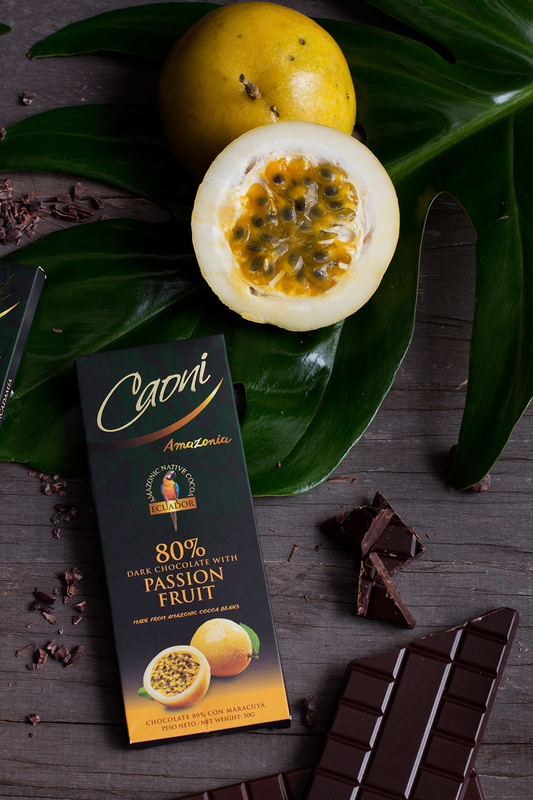 These beans allowed us to create a perfectly balanced chocoIate that, combined with the exotic ingredients added: Golden Berry, Macadamia Nuts, Nibs and Passion Fruit creates a new experience: a bittersweet taste, smoothness and crunchiness. You can enjoy an exciting array of 4 different types of chocolate: Milk Chocolate, Milk Chocolate combined with Passion Fruit, Coffee, or Macadamia Nuts. Enjoy the sensation that characterizes each type of chocolate: the explosive bittersweet taste of coffee and chocolate, or the crunchiness of macadamia nuts and chocolate.